Welcome to the blog for Lighthouse Books, ABAA. My name is Michael Slicker. 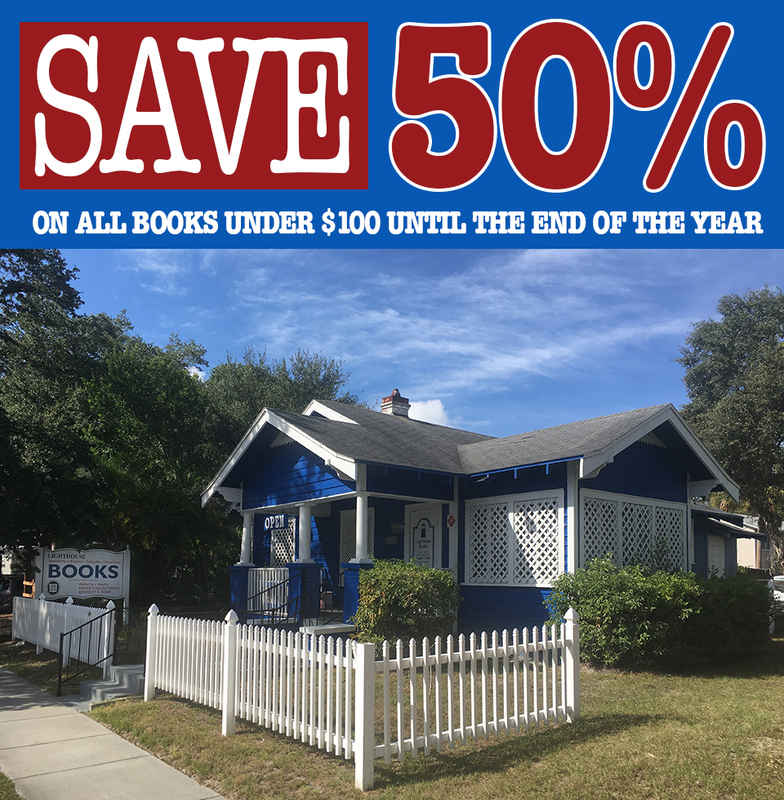 We are a family-owned and operated antiquarian bookstore that has been open 40 years, located in downtown St. Petersburg, Florida. Please have a look around the blog. Bookmark us or subscribe to an RSS feed so that you will be alerted when we make updates. Please follow the links to our spot on AbeBooks and our online bookstore for listings of some of what we have available. Thank you for visiting us online. You can visit us in person at 1735 First Avenue N in downtown St. Petersburg. We specialize in rare books, unusual books, antique maps, vintage photographs and more. Here is a playlist of all of Michael Slicker's Rare Book Moment episodes. Enjoy! Please visit our Lighthouse Books, ABAA YouTube channel and subscribe. Call us. Write us. Come by for a visit. We're going on a road trip to Jacksonville to participate in the annual Pilot Club Antiques & Vintage Show & Sale at the Morocco Shrine Auditorium. It's at 3800 St. Johns Bluff Road South. It runs Friday and Saturday 10 a.m. to 5 p.m. and Sunday 11 a.m. to 5 p.m. Admission is $10 and the parking if free. If you're in the vicinity, we'd be delighted if you'd stop in to see us. Everything in the store under $100 on sale! 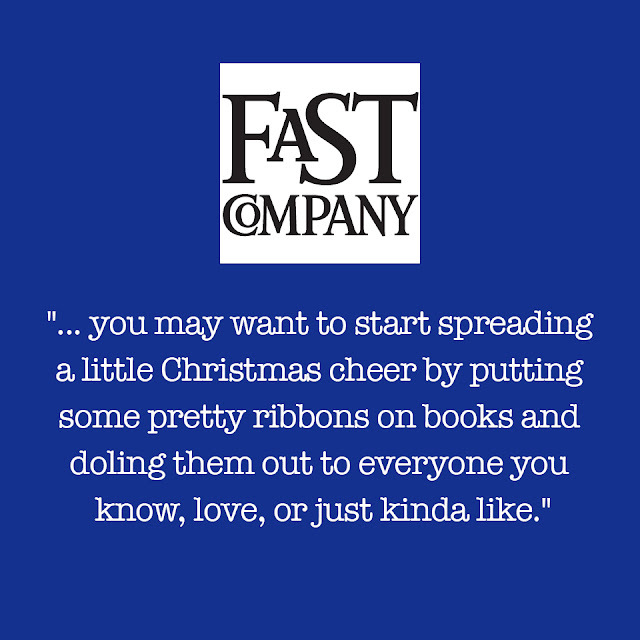 This sale isn't just about books. It's also about prints, maps, photographs, and ephemera. From now until December 29, it's all on sale for half off the marked price. (We're closed Sunday and Monday, so December 30 and 31 are out.) But until then, you've got plenty of opportunities to take advantage of this spectacular sale. We're open Tuesday through Saturday 10 to 5. So come on in. This sale applies only to in-store purchases. Gotta be here. 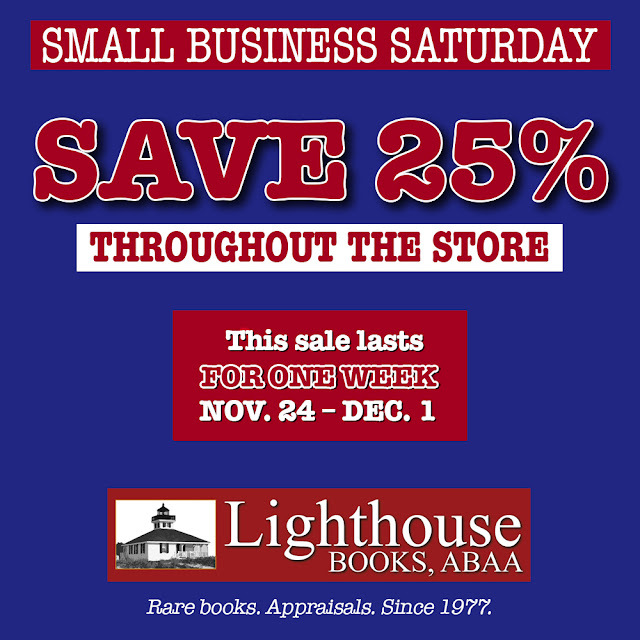 Don't miss this great opportunity to save money at Lighthouse Books, ABAA. We're always glad when we can offer such amazing in-store savings and we know you are, too. So be sure to visit us on Small Business Saturday or in the following week to take advantage of this terrific sale. Our specialties include Floridiana (Florida History, Florida Authors, Florida Related Ephemera), American History, Literature of the South, Military History (including, but not limited to, Civil War, Spanish-American War, World War I, World War II, Vietnam, Korean War), Children’s Literature, Maps, Leather Bindings and Rare & Unusual items. We also have a wide variety of general stock, including a large Landscape/Gardening section, a great selection of Christian/Church History/Bible Study titles, Beat Literature, and much more. Please browse our extensive category list. Michael F. Slicker, is one of about 450 qualified members of the Antiquarian Booksellers Association of America, Inc., and its affiliate the International League of Antiquarian Booksellers. Condition of the book, demand for it and history of comparable sales are among the factors considered in evaluating the value of a book. Other factors may apply as well. Michael Slicker was the founding president of the Florida Antiquarian Booksellers Association and has served as chairman of its annual Florida Antiquarian Book Fair since its inception. The 36th annual book fair is set for April 21-23, 2017 at The Coliseum in St. Petersburg. The fair is the oldest and largest antiquarian book fair in the Southeast. 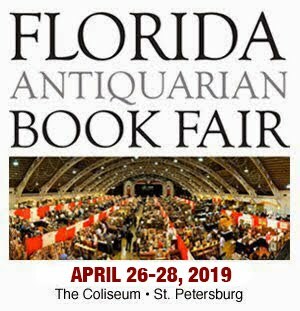 Learn more about the Florida Antiquarian Book Fair and the Florida Antiquarian Booksellers Association. This blog is your online connection to Lighthouse Books, ABAA, offering updates on our activities and an insider's look at some of our offerings. We hope you'll enjoy it and visit often. We'd love to hear from you. © 2018 Lighthouse Books, St. Petersburg, FL 33713. Powered by Blogger.